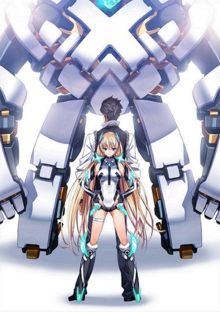 Expelled from Paradise (楽園追放 Rakuen Tsuihō?) is an upcoming Japanese animated science fiction film. The film is directed by Seiji Mizushima, with a screenplay written by Gen Urobuchi, animation provided by Graphinica and jointly developed by Toei Animation and Nitroplus with distribution by T-Joy and Toei Company.